3Ps — The Disruptive Strategy Co.
A three week business building intensive that focuses on giving you the tools you need most to build a sustainable and profitable business. You have lots of ideas that are constantly getting shot down by your friends and family. You’ve been a serial starter for longer than you care to admit. You don’t really have a plan for your business, you’re well-intentioned-winging-it. Your business feels disconnected from your purpose. You’ve been at it for a while but feel like you still haven’t found any real traction. Your friends and family are constantly sharing applications to jobs they think you’ll like. This means you’re like me and you’re not interested in just playing business. You’re interested in delivering real value to the people that need your help. You’re interested in doing something you actually care about. And, you get frustrated when you feel like you can’t do your best because there are too many things getting in your way. I know how you feel because I’m that way too. This is why I created the 3ps Program. In the three weeks we spend together my goal is to help you get your business’s value out of your head, off the ground (or unstuck), and into the lives of the people that need you most. So, what is 3Ps you ask? The 3Ps Program (Planning, Performance, and Profitability) is a three week business building intensive program. It’s a blend of coaching, workshopping, and creating that will have you ready to tackle your business building goals. Over our three weeks together we’ll work to create plans that are authentically tailored for you and your business, goals that matter to you, and the practical strategies and tactics to get your business growing. 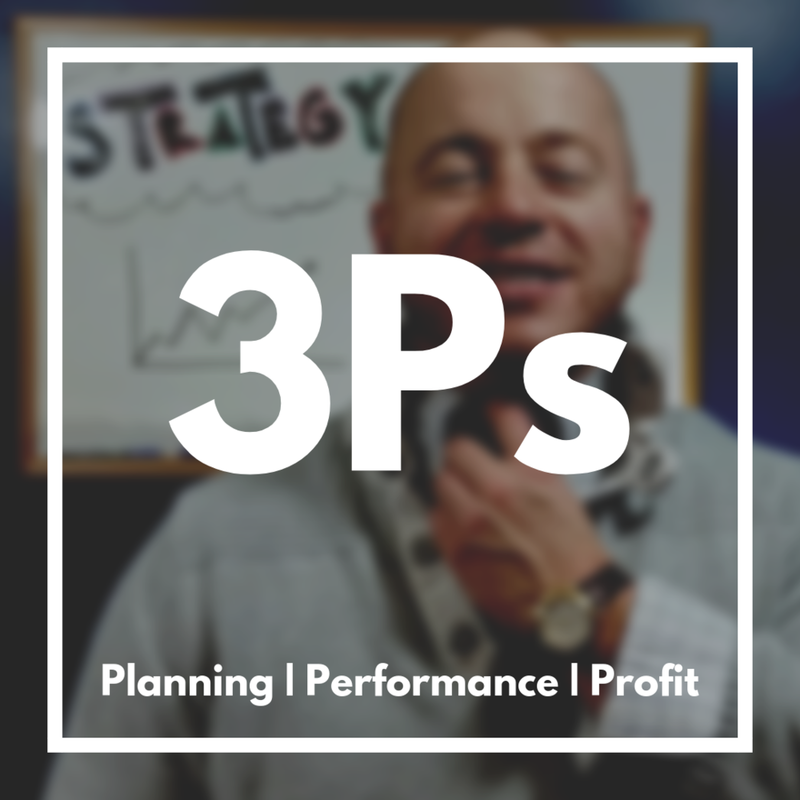 3P’s is tailored for your business and will have you leaving the month with real plans and actions to take, a better understanding of the competitive environment your business operates in, and metrics to track that matter most for your business. Work on crafting a holistic strategic plan for your business - no more chasing arbitrary sales goals and short-term business development thinking. Work on Identifying the actions you need to take daily, weekly, monthly, and quarterly to keep your business healthy, how to track that activity to help you make better future decisions, and to keep customers moving through your business - no more sales tactics du jour to try or running your business out of your inbox. Work on developing the messaging that resonates most with your target market and ensuring that you’re delivering on a real need your customers have - no more guessing about what you think will sell, how much to charge, or what to say to get people interested. I know I need a plan but I don’t know where to start. I make to to do lists every day and I never look at them. I’m too busy running my business and trying to keep the customers I have to think about growing. I struggle with deciding what to do next. It’s easy to get distracted when I’m the one holding me accountable. I don’t know what work is most important. I want to start making real changes today. Is 3Ps right for you? This program is right for you if you are tired of being frustrated by your false starts or the lack of traction you’re currently seeing in your business. You should have the time to commit to thoroughly working through each week’s assignments and applying the principles to your business strategy. You also have to be all in. This is NOT right for someone who collects information or experiences. I don’t want to be another notch in your business growth education belt. The principles of this program may be most easily applied to service-based businesses but I’m committed to making it work for as many businesses as I can. This is also a great opportunity for you to get support if If you’ve been on the fence about one-on-one coaching. Investing in yourself can be a tricky hurdle to overcome. This is a good fit for those that are nervous because of the price or because you’d like to plug in to another brain in a supportive environment. I made it this far, how much is this going to cost? The investment for this program is $699. Typically to work with me one-on-one, the cost would $1500 for the same amount of time. You’re saving over 45% off of the one-on-one fee. The reason for that is that we’re working through a framework I’ve tried and tested in a controlled and guided format. Because we all operate in the same seven day week there are only so many spots available per month for this program. When they’re gone, they’re gone. I need to keep the number enrolled extremely low so that I can deliver the support and attention that each business deserves. ✔️ You’ll have a clear and easily articulated value proposition supported by a real and actionable plan. ✔️ We’ll work on prospecting, business development, and creative ways to get in front of your potential customers. ✔️ You’ll feel energized and committed to your purpose allowing you to show up and execute every day. ✔️ Create systems that help you better manage the people, data, and things in your business. ✔️ Have frameworks for making better decisions and tracking your business performance so you can hit your goals. 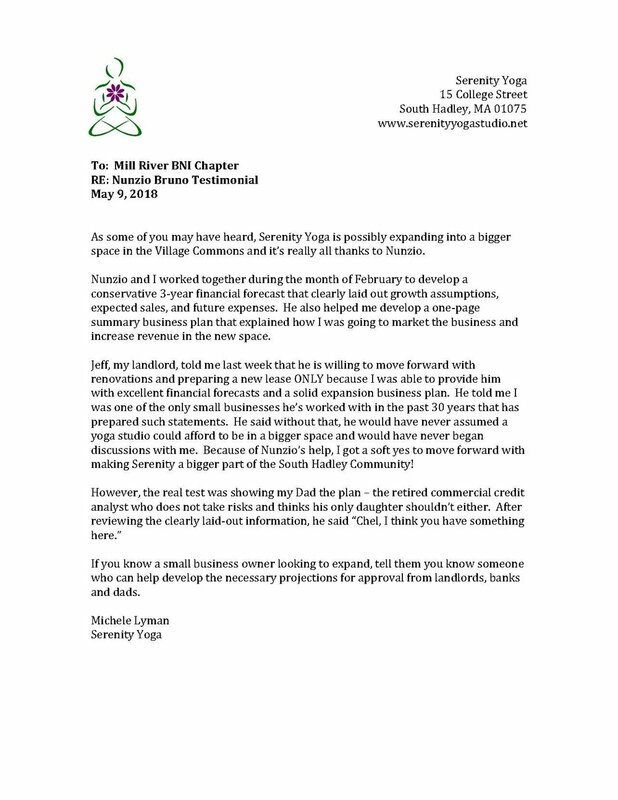 I always want to make sure that each business is the right fit for this business building experience. If you have questions about whether this program is right for you right now use the form below to reach out. PS - Definitely check out a recent testimonial I received from a growth focused business owner who's crushing it!